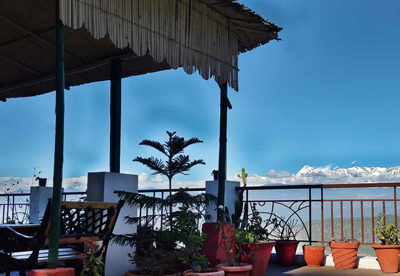 Pratiksha Himalayan Retreat invites you on a memorable holiday to one of the most popular hill stations known as Kausani (Swetzerland of India), offering breathtaking view of the mighty Himalayas as well as deep valley view of Baijnath, where you get the chance to meet with supreme natural beauty and refreshing weather. 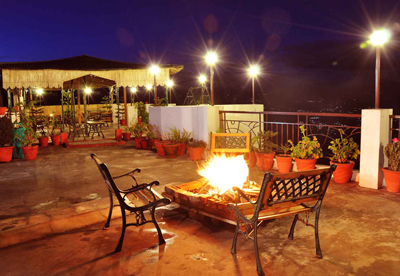 Pratiksha Himalayan Retreat (Resorts in Kausani) is situated near tea garden in Baijnath road, Kausani, just 115 km to north-west from the beautiful lake city Nainital, offers you holidays full of enjoyment with all modern amenities and 24 hours service. The romanticized bliss of nature found in the intricate writings of Wordsworth is no more a dream! We have it manifested for you here at Pratiksha Himalayan Retreat a Hotels in Kausani, in the cozy of lap of the Himalayan town, Kausani. 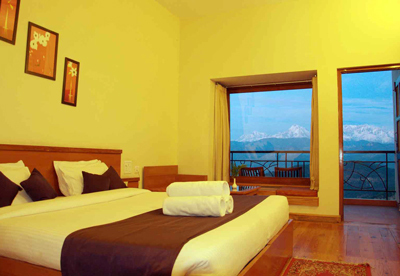 It is nestled in the lap of nature, overlooking the historical Katur valley and an unbroken expanse of Himalayan panorama. Thick clumps of Oak, Chir Pine and Deodars and the sprawling undulations of tea gardens glistening in the mallow light of rising sun in the majestic backdrop of snowcapped peaks, speak volumes of the pristine beauty that it has always been. Set exquisitely atop a hillock, Pratiksha Himalayan Retreat is the vantage point from where one can have a unique feel of the virgin charms of this idyllic destination which has to its credit the initial grooming of the poet in Sumitranandan Pant and the inculcation of Anasakti Yoga in the heat of the Mahatma, -the father of the nation.